When you choose TNT Chem-Dry for your carpet, upholstery, oriental rugs, pet odor removal and tile and grout cleaning needs, you’re hiring the top reviewed carpet & upholstery cleaning company in Nashville and voted, “Best Carpet Cleaning Service in Nashville,” Toast of Music City award winner since 2010. Our goal is to provide the highest quality service experience giving you the most for your money and exceptional results. TNT Chem-Dry technicians are trained to deliver superior service and we always respect the privacy and possessions in your home. Our goal is to help our customers live healthier lives by providing you with clean carpets and a healthier home. We take pride in being a local carpet cleaning company that our customers rely on to deliver an amazing cleaning experience at an affordable price! 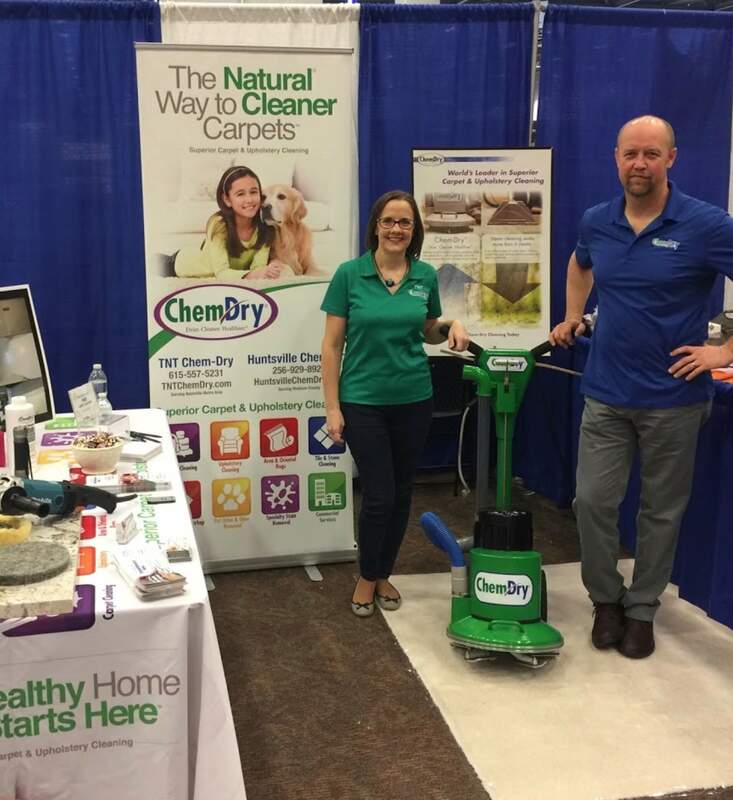 TNT Chem-Dry’s mission is helping people live healthy lives, which starts with clean carpets and a healthy home. Our proprietary hot carbonating extraction cleaning process penetrates deep into the fibers, removing an average of 98% of common household allergens from carpets and upholstery and 89% of the airborne bacteria in your home when a sanitizer is added. * Plus, our green-certified solution, The Natural®, contains no soaps or detergents so it’s safe and non-toxic for your family & pets. And, Chem-Dry uses 80% less water than typical steam cleaning so carpets dry in hours instead of days, making it the safer and more convenient carpet cleaning choice. All of this means Chem-Dry cleans for your health like no one else. We use the Best of the Best Truck-Mount Extraction Cleaning Process with Amplified Extraction! So what does that mean? It means we provide the deepest clean, along with a fast drying time of 2-3 hours compared to the very long dry time of traditional steam carpet cleaning. We can achieve amazing results that will make you feel good about spending your hard earned dollar with TNT Chem-Dry. Only Chem-Dry uses The Natural® cleaning solution for carpets, rugs, and upholstery. This product gives a deep clean AND is safe for kids &, pets. The Natural® contains no soaps or detergents, is virtually residue free, and is safe, non-toxic, and Green. Our technicians are top notch, highly trained, friendly and honest professionals who care about the work they do and take the time to provide a very detailed cleaning. Our goal for each first time customer is to turn them into long-term satisfied repeat clients for years to come. For more TNT Chem-Dry customer reviews or to see our cleaning process in action see our videos. Eventually, Robert Harris discovered the ideal cleaning formula. His unique carbonated solution delivered exceptional cleaning and was also safe and non-toxic. Harris founded Chem-Dry and soon the demand for his superior cleaning services grew exponentially. His entrepreneurial journey blossomed into a thriving success that has continued to grow since those first days in the early 70’s. 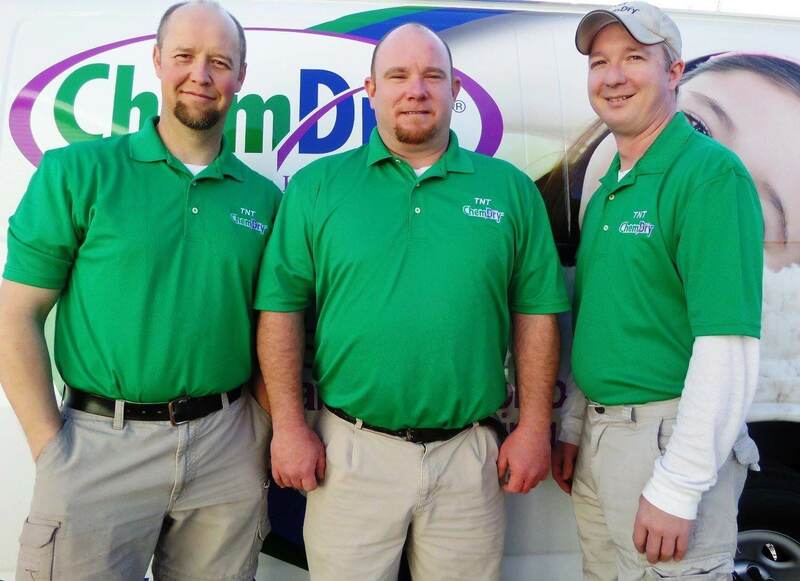 From the very first small group of franchise locations, the original Chem-Dry network has expanded over recent decades to offer thousands of successful franchises throughout the world, including TNT Chem-Dry based in Nashville, TN.